After an extended hiatus, actor Steve Guttenberg may have unofficially announced that the popular cop series from the 80’s will be making a comeback. 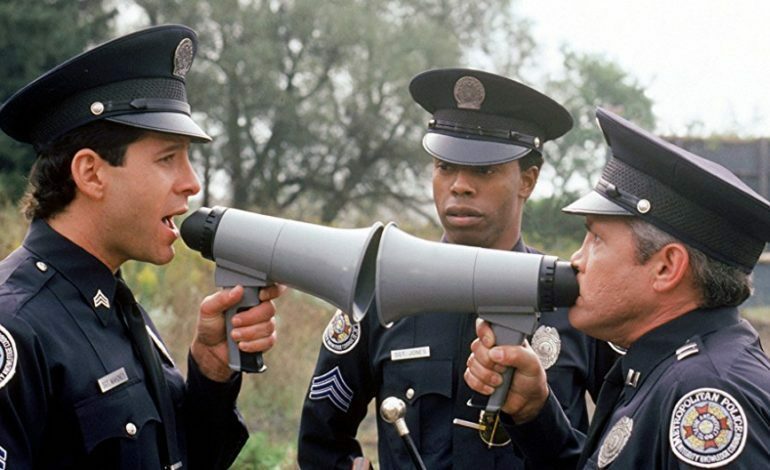 Guttenberg teased crowds with a tweet yesterday that read, “Adam, The next Police Academy is coming…” So far no details as to who will be starring or even directing the reboot has been revealed. The last mention of a Police Academy movie was in 2016 when actors Jordan Peele and Keegan-Michael Key were developing their version of a reboot, but so far the new mention sounds totally different. The first Police Academy was directed by Hugh Wilson in 1984. The premise of the movie was that a mayor of an American city decides to accept everyone willing to apply for recruitment into the Police Academy, which in turn brings about some interesting candidates. The first three movie starred Michael Winslow, David Graf and George Gaynes, of which both Gaynes and Graf have both passed away since making the films. It’ll be interesting to see just which direction the new Police Academy will take, but for now, only time will tell. Stay tuned as more details are released.